I'm wanting to convert my power steering from stock hydraulic to electric. I've read that the Saturn Vue and MR2's electic power steering pumps are the way to go. But I really don't know if it matters...? Some say you need some sort of controller, some say you dont and let it run in fail safe mode. 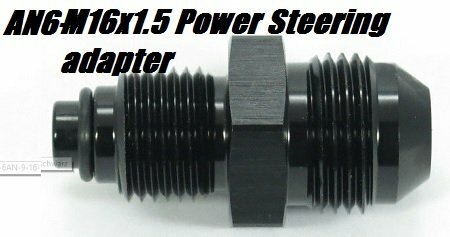 Has anyone here converted their car to electric power steering? Care to share exactly what you did? I attempted this with an S2000 rack...5 years ago. Needless to say risk vs reward wasn't worth it so I scrapped the entire venture. You want to convert to *just* an electric power steering pump (still hydraulic) EPS or want to convert to a full electric power steering assist system, EPAS? Because the Saturn thing is about an EPAS conversion and the MR2 an EPS. I did the EPS with a Mercedes / Porsche unit, can't comment on how well the MR2 or Opel /vauxhall will perform on the 3s. EPS conversion is safe, because worst case scenario you won't get enough assist. You don't touch the internals of the steering rack and so the steering can never work on it's own. EPAS, well one wrong input signal (if connected), faulty unit and the electric motor will turn the steering on it's own / counter turn to where you want so you essentially have to try to overcome the motor or get locked in position. Last edited by enkaio; 04-08-2019 at 04:55 AM. Денис Могылдя has a post on fb with a pic but no details. Dude makes a lot of awesome stuff he may help. I am open to either style. But most likely the EPS version to keep it on the simple side. Mainly I want to get rid of the stock power steering pump. You said you have done this with the Mercedes / Porsche unit. Care to share how you got it done? Is this on your 3s? I did some research back then and these are the pumps options people did use on other cars for an EPS (EHPS) conversion. Some are "smart" with an circuit and ECU others are just "dumb" and need extra relays and switches. The pump I did use is the A1684660101. 600watts, upto 80A (it does really draw around 76A on my car when standing still and fast pulling) Also it has a noise dampening jacket included and is "smart" which means more easy to install and you don't have to worry about assist above 25+ mph. It means it drives like a manual rack at speed and just helps with the parking lot. 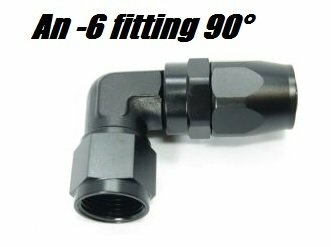 Steering Rack low pressure return outlet is M16x1.5 thread. Return on my pump is just a stump to hook up the return and use a clamp. High pressure outlet is same as our steering rack M16x1.5 "steering rack type". So you need two of those in total. The small wire is there to activate the pump when it senses over 12V (Alternator running +14V). The unit which i took for cheap from a scrapper activates at around 12.2V which sometimes can happen with my healthy battery - so I connected it to the wire for the fuel pump. Pump running - so does the power steering. You may wire in a Switch and hook it up to any other ignition source, it's really up to you. I've choosen to put it to where the battery used to be, but you can put it any other place. For fluid, just take something synthetic over the old mineral DExtron II, I've used both but the pump is working better with a synthetic ATF style oil. I also added a toggle switch since then too but never used it yet. FIY, I would have used the MR2 pump, but they are really- really rare here, and extremly expensive. So feel free to experiment yourself. 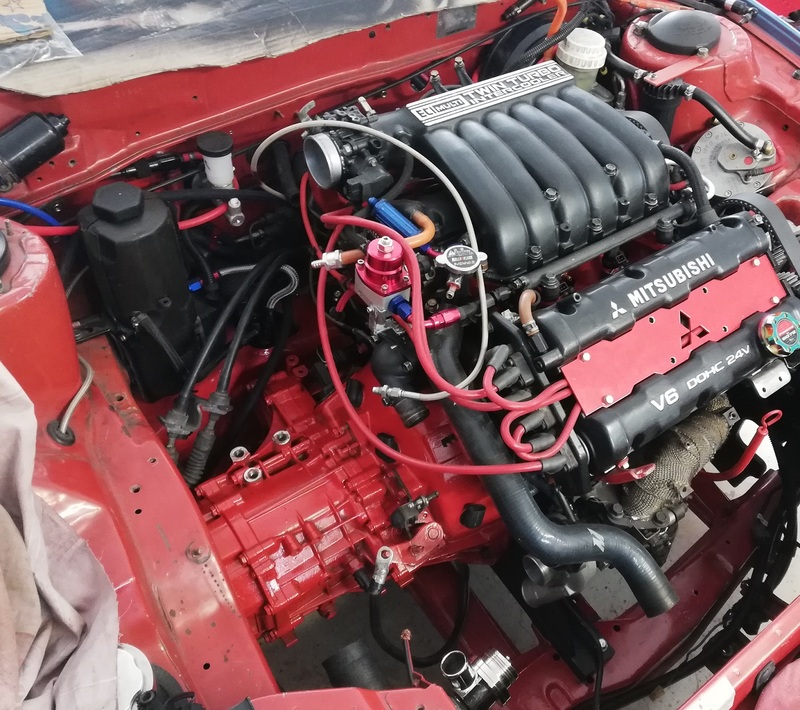 you can remove the old power steering bracket, pumpt, lines (also the hole 4ws system needs to go, or at least I am not sure if the units are strong enough to pump additional 10 meters of lines around the car for the rear axle actuators / pump). I do not know the Merc's pressure relief but from higher end models it tends to be quite high, much higher infact than Mitsubishi's. MAX relief pressure for the 3000gt is 1451psi. I would highly recommend not exceeding this. This is also why I tried to use an S2000 rack as it was all inclusive but space was an issue. The failsafe for it was to just not work. At the time, I was unaware of the existence of the MR2 pump. Anyway that Merc pump also has a rating of 60 amps or 720 watts. Before I would even attempt to run that Merc pump I'd find out it's running pressure or relief pressure and personally I'd avoid it like the plague as they tear up quite frequently. The transistors go bad. I've worked with Merc's far longer than Mitsushittys and love them far more. The MR2 pump is a much better idea, lower amperage and IIRC the relief is lower than the Mitsubishi. There are also TONS of write ups regarding that pump. I can't help with the MR2 pump (that is practical information). It's a unicorn over here and if one pops up it has the price of 10 Merc pumps (used) or 1 completely new pump. I've used a merc scrapper unit because when I started I wasn't sure if it works out, but it still works so the pump was 60$ to me used. Failure rate is due to a mounting position issue. There are the reports of burned transistors and pumps get remanufactured here. However as I first hand found out the stock mounting position has always poor corroded ground on these cars after some time. The three (or one) MOSFET Transistors get the shorting in those cases. Specs are MTB75N05-HD, 75A @50volt max. The IC is a ELMOS 10230C You could replace those. Poor ground and corrosion lead to burned circuits. Also the pump is mounted very low open to the road and the circuit cover is not water proof insulated, neither is the board epoxy POTed . It's known to fill up when submerged or have droplets inside, water + circuits = bad. But that's both things that won't happen on a 3S, we can't mount the pump that low and exposed anywhere in the engine bay as in the MERC's stock location. 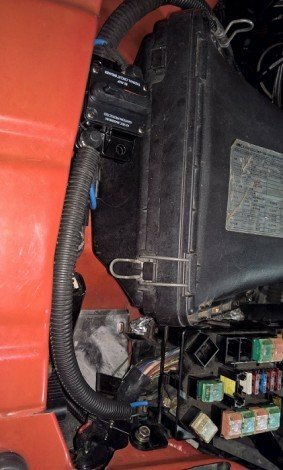 We can use rtv to make a sealing lip on the circuit cover if you want, and that's something you would require to do on a MR2 too if mounted in such a way either. 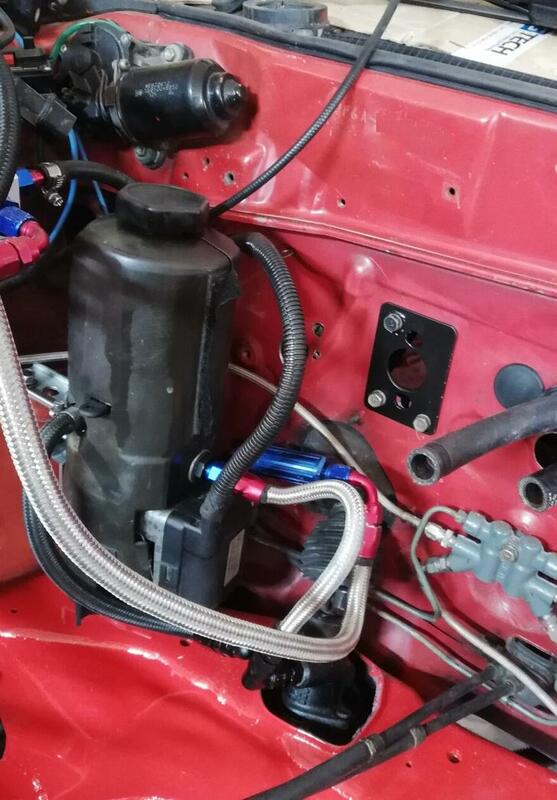 The pump is stronger than the MR2 unit, but I haven't found the need to use a PWM to regulate power (Something some 'light' car conversions also need with a MR2 unit). Putting a 40$ PWM inline wouldn't be a big issue if it would be required. I tried to find proper data for the Relief settings but nothing solid and haven't looked further since it works for two years. Those might be like the OEM or not, maybe you have access to a repair manual and it hopefully have proper information on power steering as our manual on the 3s has? Last edited by enkaio; 04-09-2019 at 06:29 AM. A lot of awesome info, thanks! I also found this. Not a cheap route. but it's an opion for some. I am 100% doing this now. I am going to use the Mr2 pump. Mainly because it's easy to find here in the US, and there is a decent amount of info on it since it's the commonly used pump for this conversion across multiple platforms. Keep us updated! Having not to deal with power steering cramped behind the engine was the best part of the conversion.